Extracts from the daily report by Don McIntyre, Antarctic Expedition Leader onboard the expedition ship Orion in Antarctica (60 degrees plus South). "GREAT DAY!!! The most spectacular icebergs I have seen in years … our first 'berg was amazing and the second was just as good…cruising the pack ice, so all happy. Then just as sitting down to the big degustation menu, literally about to eat the first course, when the Captain rang me from the bridge…whales sited! 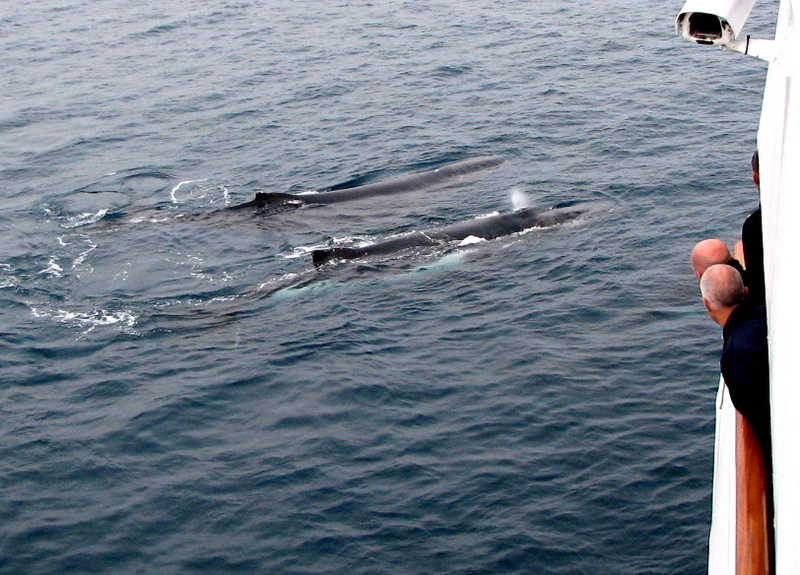 !..so went up to see about 15 humpbacks in front of the pack ice just playing around…spectacular. Dilemma. The food was coming out fast!!! so we decided to just stay in contact with the whales and let dinner run late….when the maître d' heard what was happening we cleared the dining room.... had a great show with calves and tail slapping. Captain got the ship positioned just right…quite something to see!!! So we steamed away for dinner and planned to come back in 90 minutes...they are now about 1.5 miles up front again, so we will have another show very shortly. Sun low on the horizon, sea glistening. 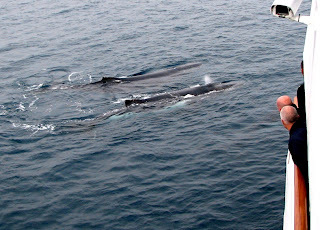 It just got a lot better…we had about eight humpbacks playing with the ship as we were stopped about 50 metres from the pack ice. They were coming up to within about three metres, rolling around and under and checking us out for about 30 minutes. They stayed with the ship for a few hours. You can see them in Queensland for sure, but to be in their "real" element surrounded by ice, watching and listening to them play was stunning!! Best whale experience I have ever had!! …All the best…Don"
'Whales Alive', also onboard Orion. "I will be matching all the humpback whales we see on our voyage to the catalogues of the South Pacific Whale Consortium. This includes a catalogue of 2000 individuals that are known to calve on the East Coast of Australia. The behaviour we saw yesterday is what we refer to as a 'mugging' … where the whales choose to come very close to a vessel and interact with the people onboard. They were engaged in social behaviours with each other and with the vessel. 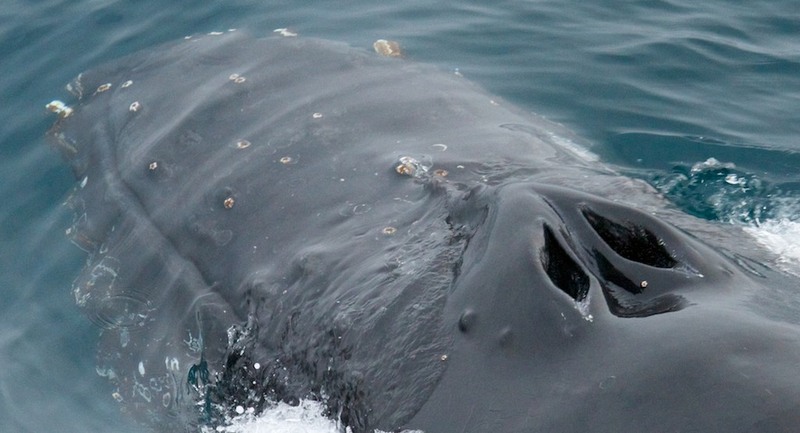 It is worth noting that over 200,000 humpback whales were taken out of the Southern Hemisphere in the last 100 years, with the East Australia population dropping to just 100 animals. These are endangered whales in their feeding grounds and we have been extremely lucky to see them. Being able to identify these individuals we saw will help the scientific community better understand their breeding and life history."